This is the version of the Motion Guide that matches releases from 3.1.18 till 3.1.20 of Motion. It is a snapshot of how the Guide looked like before it was updated to fit version 3.2.1. You cannot edit this old version of the Guide and there is not really any point in doing so. Follow this link to the up to date MotionGuide. Motion is a command line based tool. It has absolutely no graphical user interface. Everything is setup either via the command line or via a set of configuration files (simple ASCII files that can be edited by any ASCII editor). Motion is an open source type of project. It does not cost anything. 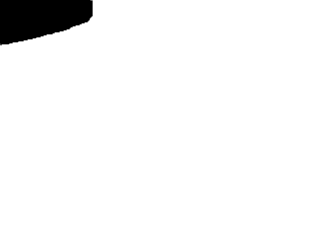 Motion is published under the GNU GENERAL PUBLIC LICENSE (GPL) version 2 or later. It may be a bit difficult to understand all the details of the license text (especially if your first language is not English). It means that you can get the program, install it and use it freely. You do not have to pay anything and you do not have to register anywhere or ask the author or publisher for permission. The GPL gives you both rights and some very reasonable duties when it comes to copying, distribution and modification of the program. So in very general terms you do not have to worry about licensing as a normal hobby user. If you want to use Motion in a commercial product, if you want to distribute either modified or original versions of Motion - for free or for a fee, you should read the license carefully. For more information about free software and the GPL, I encourage you to study the very interesting documents about the subject available the of the Free Software Foundation pages about the Philosophy of the GNU Project. Both Motion and the Motion Guide are written by people that do all this as a hobby and without asking for any payments or donations. We have a life other than developing Motion and its documentation. This means that bugfixes and updates to this guide are done as our time and families allow it. You are however encouraged to participate and contribute in a very active mailing list. It is a list with a very "positive attitude" and with many contributors that propose features, post patches, discuss problems and patiently answer newbie questions with a very positive spirit. Expect 1-10 emails per day. To get motion direct your browser to the Motion Homepage. Under the download page you will find a series of stable versions and a series of development versions. Motion was originally written by Jeroen Vreeken who still actively participates in the development of Motion and later Folkert van Heusden continued as a lead programmer with Kenneth Lavrsen responsible for Motion Guide, website and releases on Sourceforge. From version 3.1.12 Motion is now project managed entirely by Kenneth Lavrsen, and the project now shift towards being developed by many contributers. For support we encourage you to join the mailing list instead of writing to Jeroen, Folkert or Kenneth directly. We are all very active on the mailing list and by using the mailing list much more users will have benefit of the answers. Newbies and stupid questions are welcome on the list. Contributions in the form of patches are also very welcome on the mailing list. The current branch is the 3.1.X versions. There is a feature freeze on 3.1.X. Only bugfixes are made to the 3.1.X branch starting from 3.1.18. Latest 3.1.X release is the recommended release for production use. Currently the community is starting working on the 3.2.X branch. This will completely change some features. Especially the remote control part will change from xmlrpc to a much simpler http interface. Since 3.1.13 quite many options have been renamed to make setting up Motion easier. From 3.1.17-18 some unfinished features have been removed. The Berkeley mpeg feature is now removed because the ffmpeg feature is now mature and much better working. See more description at the Motion Homepage. Feed events to an MySQL or PostgreSQL database. You can find more information and links at the Motion Homepage. Motion is originally developed for Linux and it is still mainly developed and supported for this platform. From version 3.1.15 an experimental port has been made by Angel Carpintero. Not all features of Motion are supported at this time and it still needs a lot of test time on different hardware. Angel is very interested in feedback. Join the Motion Mailing List and give your feedback there. Patches for bugfixes and for enabling the missing features are very welcome. The rest of this guide is still mainly targeted for Linux users. This document (you are lucky to have found it). The default motion.conf file that comes with the package. Misc. document that comes with the package gives a few hints. When this is written the FAQ describes the wrong information about where motion searches for the motion.conf file. Standard video4linux devices (e.g. /dev/video0). Motion has no drivers for cameras. Installing the camera itself is outside the scope of this document. But here are some nice links. Driver for USB Philips cameras (and more) This driver is a fork of the old pcw(x) driver which got kicked out of the kernel. 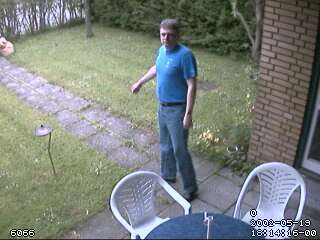 (see: http://www.smcc.demon.nl/webcam/). See also the new PWC Documentation Site which is hosted in this wiki. BTTV Driver (capture cards). Part of many distributions now. OV511 based USB cameras are supported as standard by newer Kernels. rivatv.sourceforge.net Driver for tv/composite/svideo input with most Nvidia based video cards. Network cameras (which are actually cameras with a built in web server that can be connected directory to your network). Kernel 2.6 and pwc. Note that for kernel 2.6 there is a new release of the Philips WebCam (pwc and pwcx) drivers 10.0.X. It is recommended to install this (requires kernel rebuild). Hopefully it will enter the kernels soon. See Logitech Quickcam Orbit or Sphere just below this for what you must do if you have pwc 8, 9 or 10. Motion is mainly distributed as source files that you must compile yourself. There is also an RPM made on Fedora Core 2. And Debian packages are available for selected versions. The short overview of the steps to install Motion. Untar and uncompress the file to the place you want the program installed. Editor recommends placing the motion source file directory in /usr/local. If you do not have write access to the /usr/local directory (you are under the mercy of an ignorant system administrator with a severe case of paranoia) - you can install the program in a directory in your home directory. You will then need to read the next section about how to configure before you compile the program. Below is shown the exact commands using version 3.1.X installed in /usr/local as an example (replace /path/to with the actual placement of the tar.gz file). You will now have created a directory called motion-3.1.X. You can rename it to motion (mv motion-3.1.X motion). I recommend creating a symbolic link to the current version. This way you can more easily experiment with different version simply by changing the link. Run the program. To enable more features you must modify the config file or add command line options. You will not get too far with the defaults. The command line is nice for quick experiments. But for normal use I recommend using the config file. Motion must be installed with revision 0.4.8 or 0.4.9pre1 of ffmpeg. (*) Debian has not provided deb packages for ffmpeg due patent issues. However this is about to change so checkout for availability of newer versions of debian ffmpeg debs. You can build yourself from source or from Christian Marillat website or apt repository. libxmlrpc xmlrpc-c and xmlrpc-c-devel - or install from source! Default is that make searches in the normal installation directories of most distributions. --with-pgsql=DIR Include PostgreSQL support. DIR is the PostgreSQL base install directory, defaults to /usr/local/pgsql. Set DIR to "shared" to build as a dynamic library, or "shared,DIR" to build as a dynamic library and still specify DIR. Default is that make searches in the normal installation directories of most distributions. See section later about PostgreSQL about potential problem during compilation. There is an easy workaround for it. If you have run make before, you should run a make clean before running make again. This cleans out all the object files that were generated the previous time you ran make. If you do not run make clean first before you rebuild Motion you may not get the additional feature included. For example: If you built Motion without XMLRPC support and then add it later - and rebuild Motion without running make clean first - the XMLRPC feature does not get compiled into the Motion binary. Makes the directories (if they do not already exist): /usr/local/bin, usr/local/man/man1, /usr/local/etc, /usr/local/doc/motion-3.1.X, /usr/local/doc/motion-3.1.X, and /usr/local/examples/motion-3.1.X. Note that the any existing files are overwritten. Pay attention to your configuration file motion.conf. You may not want this overwritten. Keep a copy in a safe place before you run "make install". Editor recommend renaming the motion.conf in the source code directory after the very first installation. This way you will not accidentally overwrite the real motion.conf file. deletes all the binary files (object files) and the motion binary generated by make. It also deletes temporary files and any jpg files that motion has saved in the motion source directory. It is very important to always run make clean before you run make if you change the configuration (like adding features such as XMLRPC or ffmpeg) and rebuild motion. If you are upgrading from motion 3.0.X or from an older version of 3.1.X you should note that many options have been removed from version 3.1.13 and forward and many new have arrived. You still have most of the old features. The options have been changed for two reasons. New more flexible features and to simplify getting started with Motion. You should also note these major differences. valid values are now "on", "off", and "first"
Motion is invoked from the command line. It has no GUI. Everything is controlled from the command line and from config files. The editor recommend only using the config files as this is easier in the long run and much less confusing having all options in one place. A few important definitions. A "motion" image/mpeg shows the pixels that have actually changed during the last frames. These pictures are not very useful for normal presentation to the public but they are quite useful for testing and tuning and making mask files as you can see exactly where motion sees something moving. Only the Y-channel is shown which make the motion images green. A normal image is the entire image taken by the camera. Motion has a configuration file in the distribution package called motion-dist.conf. When you run 'make install' this files gets copied to the /usr/local/etc directory. If you have more than one camera you should not try and invoke Motion more times. Motion is made to work with more than one camera in a very elegant way and the way to do it is to create a number of thread config files. Motion will then create an extra tread of itself for each camera. If you only have one camera you only need the motion.conf file. The minute you have two or more cameras you must have one thread config file per camera besides the motion.conf file. If you run the XML-RPC command motion.conf.write (motion-control conf write) motion will overwrite motion.conf and all the thread.conf files by autogenerated config files neatly formatted and only with the features included that Motion was built with. If you later re-build Motion with more features or upgrade to a new version, you can use your old config files, run the motion.conf.write command, and you will have new config files with the new options included all set to their default values. This makes upgrading very easy to do. It requires that Motion is built with the XML-RPC feature. -a seconds time between two automated snapshots, valid range: 0 to thousands, default: 0 The default value of 0 means that the feature is disabled. -C Output changes count for every frame, usable for tuning This feature writes the detected number of changed pixels (after noise filtering) to the console. Motions outputs the numbers for all threads continuously for every frame read from the video device. The output format is "changes: number_of_changes". The number is an expression of how many pixels that changed and how much. The higher a value, the more motion This feature does not work when in daemon mode! The feature is excellent for debugging. You can use the feature to set the noise level so that motion normally shows "changes: 0". You can also use it to set the right detection threshold level. -c changes threshold for detecting a change, Valid range: 1 to thousands, default: 1500. Use the -C switch to experiment to find the right value. If you do not get small movement detected (see the mouse on the kitchen floor) lower the value. If motion detects too many birds or moving trees, increase the number. -D Daemonize This means that motion is started as background process(es) and you return to the command prompt right away. All you have to do now is to kill the motion with the lowest process ID "kill number". From version 2.9.x motion is started as a main thread that creates child threads. Kill the parent and you kill the children. Note: With version 2.6.3 and earlier (before threading was introduced) you have to kill each individual process. Also note that the equivalent option in the motion.conf file changed spelling between 2.6.3 and 2.9.x. In 2.6.3 it was deamon and in 2.9.x it was corrected to daemon. -d device video4linux capture device, default: /dev/video0 The syntax for the value is /dev/devicename where device name in Linux is normally video0, video1, video2 etc. The actual device number is set by the device driver. See the documentation for this. If you have more than one device you need to define them in config files instead. -E command Execute 'command' when detecting motion. The command is executed at the beginning of the event before the images are stored. This means that you cannot use this command to process the stored files. Use -O instead for this purpose. This option is good for alarming, recording using other programs etc. -F file pgm image to use as a mask for filtering motion. This file must have the same size as you have set for the video4linux device. Full path of the PGM (portable gray map) mask file. If you have one or more areas of the camera image in which you do NOT want motion detected (e.g. a tree that moves in the wind or a corner of the picture where you can see cars/pedestrians passing by) you need a mask file. This file is a picture that you create in your favorite photo editing program. The areas that you want detected must be white. The error that you want ignored must be black. The ppm image must be the same size (number of pixels high and wide) as the pictures that are taken by the camera (video4linux device). -f number Maximum number of frames per second. Valid range: 0 to limit of camera, default: none Maximum number of picture frames per second that motion takes when detecting movement. Default is none which means that it takes as many as possible. For versions before 2.9.8 the value 0 would generate an error. Editor recommends not to define the option at all if not needed. -G seconds Minimum gap between two shots in seconds. 0 to thousands, default: 0 It is the minimum time from an image is saved till an image is saved again. -g seconds minimum gap between events, Valid range: 1 to thousands, default 60 An event is defined as a series of motion images taken within a short timeframe. E.g. a person walking through the room is an event that may have caused 10 single jpg images to be stored. This option defines how long a pause between detected motions that is needed to be defined as a new event. -h Display an short text with all command line functions. Display a short 1 line help text for each command option. Motion terminates right after having shown the text. If Motion already runs it is no problem. You can invoke it with the -h option without any impact on the running processes. -i input input channel to use expressed as an integer number starting from 0. Valid range: depends on video capture card, default: 8 If you have a video capture card you can define the channel to tune to using this option. If you are using a USB device, network camera or a capture card without tuner you should set the value to the default 8. Many TV tuner cards have the input channels: TV Tuner = 0, Standard composite video = 1, S-VHS = 3. Other have TV=0, composite video 1= 1, composite video = 2, S-VHS = 3. -L noise Noise level, all changes smaller than this level will be considered noise. Valid range: 1 to 255, default: 32 This is different from the threshold parameter. This is changes at pixel level. The purpose is to eliminate the changes generated by electric noise in the camera. Especially in complete darkness you can see the noise as small grey dots that come randomly in the picture. This noise can create false motion detection. What this parameter means is that the intensity of a pixel must change more than +/- the noise threshold parameter to be counted. -l Do not locate and mark motion on output pictures The mark is in the form of a rectangle on the saved images so that you can easily see what it was that was moving in the picture. It is a matter of taste if you want this. -M address Send a mail to 'address' when detecting motion. Uses the standard UNIX 'mail' program which is part of the 'sendmail' package. -m Output 'motion' images Motion images shows the motion content of the pictures. This is good for tuning and testing but probably not very interesting for the general public. Default is not to store motion images. Motion pictures have an m at the end of the filename. 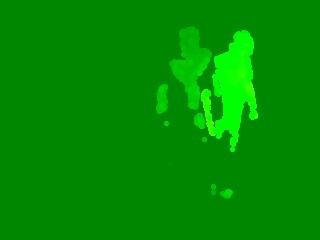 -N Normal image is an image that is stored when motion is detected. The valid values are 'on', 'off', and 'first'. Default is 'on' Normal image is an image that is stored when motion is detected. It is the same image that was taken by the camera. I.e. not a motion image as defined above. Default is that normal images are stored. You can turn the feature off or only save the first motion detected picture per event. -n norm norm to use (pal/pal-nc/ntsc/secam), default: pal Only relevant for capture cards. This sets the video coding standard for the card. In most of western Europe PAL is used. In France and some eastern European countries SECAM is used. In the Americas and Japan NTSC is used. -O command Execute 'command' when an image is saved. The name of the image will be given as argument. The command can be a simple UNIX command, a bash script, a perl program, a real binary program, anything. The program is given the stored image filename as a parameter. It is a software device driver used when you want more than one program to use the output from the same video4linux device. See also the section about video loopback device later in this document. -p Output ppm images instead of jpeg. This will reduce CPU load but disk I/O will increase a lot. -q quality JPEG image quality, Valid range: 0-100,default: 75. 100 means hardly compressed. A small number means a much smaller file size but also a less nice quality image to look at. 50 is a good compromise for most. -S number Send a SMS to number using sms_client when detecting motion. Not a feature that has received much attention recently. If you live in GSM land you are probably better off using the email to SMS gateway that most GSM providers have using your mail client. For more information see the sms_client home page. -s widthxheight Picture size, Valid range: Camera dependent, default: 352x288 Motion actually set the size of the image coming from the video4linux device. The selected size must be supported by the device. For some device drivers like pwc (driver for Philips USB cameras) setting the size to a non-standard value makes the driver create an image of the nearest smaller size and create a gray band around the image to fit the size given by motion. Note that it is the driver and not motion that generates the gray band. Motion will try to detect motion in the entire image including the gray band. -t target-dir destination for snapshots This is the target directory for all snapshots, motion images and normal images. The default is the current working directory (current working directory of the terminal from which motion was started). You will normally always want to specify this parameter either as a command line option or in the config file. -U url or IP_addr Webcam path URL for a net camera. Important note: To use the Netcam options you must have the cURL shared library "libcurl" installed on your system. This is normally part of Linux distributions. If it is not installed, it is most likely on your distribution CDs. As RPM the latest RedHat package for the i386 platform is called curl-7.9.5-2.i386.rpm. The official CURL homepage is at http://curl.haxx.se/. The download page on this site has both source code and many binary packages (RPM, Debian etc). Latest release as this is written is 7.9.8. If you use the netcam_url in motion.conf or command line with -U , height and width are ignored. It actually uses jpeglib to pull the height and width from the JPEG header directly. -u user:pass For password-protected network cameras, use this option for the HTTP 1.1 Basic authentication mechanism. default: No authentication Only relevant for network cameras. -V device Output device name Device name that motion uses to generate output. See the video4linux loopback device web site for more information about video loopback. Note: This is not the capturing device name. To set the capturing device use the -d option. -w Ignore sudden massive light intensity changes given as a percentage of the picture area that changed intensity. Valid range: 0 - 100 , default: 0 = disabled Default (switch not set) is off. These are the options that can be used in the config file. They are overridden by the command line! All number values are integer numbers (no decimals allowed). Boolean options can be on or off (values "1", "yes" and "on" all means true and any other value means false). Some configuration options are only used if Motion is built on a system that has the matching software libraries installed (MySQL, PostgreSQL and FFMPEG). always_changes on/off Always display the differences between the captured frame and the reference frame. This can come in handy while tuning your setup. Default: off This feature writes the detected number of changed pixels (after noise filtering) to the console. Motions outputs the numbers for all threads continuously for every frame read from the video device. The output format is "changes: number_of_changes". The number is an expression of how many pixels that changed and how much. The higher a value, the more motion This feature does not work when in daemon mode! auto_brightness on/off Motion will try to adjust the brightness of the video device if the images captured are to dark or to light. This option will be most useful for video devices like web cams, which sometimes don't have such an option in hardware. Default: off With this option enabled motion will try to regulate the brightness of a video device. If your video device already does this for you this option might cause oscillations. Editor recommends to experiment for best result. brightness The brightness level for the video device. Default:0 (Disabled) If this setting is used in conjunction with the auto_brightness feature then this setting is just an initial setting and then the auto_brightness feature takes over. contrast The contrast level for the video device. control_localhost on/off Limits the xml-rpc control to the localhost. Default: on By setting this to on, the control using xml-rpc can only be accessed on the same machine on which Motion is running. control_port port_no Sets the port number for the xml-rpc based remote control. Default: 0 (not defined) This sets the port number to be used for control of motion using xml-rpc. Port numbers below 1024 normally requires that you have root privileges. Port 8080 is a fine choice of port to use for the purpose. daemon on/off Start motion in daemon mode and release terminal. Default: off Daemon mode is what you typically will use once you are done experimenting and have motion run permanently in the background on a server. Wonder about the word and its spelling. Look here! despeckle EedDl (and other combinations of E, e, d and D and optionally ending with l). Despeckle motion image using combinations of (e)rode or (d)ilate. And ending with optional (l)abeling. Default: Not defined = off. A way of tuning (by removing or enhancing) noise in the motion image. Options for the despeckle feature are any of 'e', 'E', 'd' or 'D'. This can be combined by a trailing 'l' (letter l) which enables the labeling feature. Default: Not Defined (Don't despeckle and label). Wind blowing grass and trees around or poor light conditions can cause a lot of dots (or noise) to appear in the motion image (See the section on Tuning Motion). This feature removes (or enhances!) this noise and so improves the reliability of motion. The 'e' option removes diamonds, 'E' removes squares and alternating eE will remove circles. Each e/E you add will shrink the noise by a pixel all the way around. So 'despeckle Ee' will remove circles of radius 2. However, this will also shrink the detection by 2 and will affect the threshold. So to remove noise and then restore the detected motion to its original size try 'despeckle EedD'. After the despeckle feature is done you can let the labeling feature search for areas of connected pixels and "label" each area. The program will now trigger motion based on the number of changed pixels in the largest area. In other words, the largest labeled area has to be above the threshold to trigger a motion detected.. The value EedDl is a good starting point. The possible combinations are endless and it requires many experiments to find the best combination. Just remember that the labeling feature only works as intended if it runs after the despecle feature. Ie. the letter 'l' must be the last letter and only one 'l'. If you have very few problems with false detections leave this option either blank or at EedD which will remove most of the single pixel noise. debug_parameter integer Debug parameter does not have any function. The debug parameter is available for software debugging. If you want to test and debug the source code this parameter can be set anywhere in the code and its value read using the xml-rpc remote control interface. This way you can read the value of a variable, or identify where in the code the program get stuck. Unless you play with the source code this option has no function. In the current version the option is not assigned anywhere in the code. execute command External command to be executed when detecting motion. Default: Not defined Do not write "none" if you do not want to execute commands. Simply do not include the option in the file or comment it out by placing a "#" as the first character on the line before the execute command. ffmpeg_bps bps Bitrate of mpegs produced by ffmpeg. Default: 400000 (400kbps). Must not be included in config file without having ffmpeg installed. To use this feature you need to install the FFmpeg Streaming Multimedia System. Experiment to get the desired quality. The better quality the bigger files. This option is ignored if ffmpeg_variable_bitrate is not 0 (disabled). See ffmpeg section later in this document. ffmpeg_cap_new on/off Use ffmpeg libraries to encode mpeg movies in realtime. Default = off. ffmpeg_cap_motion on/off Use ffmpeg libraries to encode motion type mpeg movies in realtime. Default = off. This option uses conversion specifiers which are codes that start by % and then a letter. The conversion specifiers used has the same function as for the C function strftime (3). The most commonly used are: %Y = year, %m = month as two digits, %d = date, %H = hour, %M = minute, %S = second. Two are unique to motion %v = event, %q = frame number. With a combination of text and conversion specifiers you have full flexibility to define your directory- and filenames. For a full list of conversion specifiers see the section 'Conversion Specifiers for Advanced Filename and Text Feature'. If you are happy with the directory structures the way they were in earlier versions of motion use %v-%Y%m%d%H%M%S for 'oldlayout on' and %Y/%m/%d/%H%M%S for 'oldlayout off'. ffmpeg_timelapse_mode The file rollover mode of the timelapse video. Valid values: hourly, daily (default), weekly-sunday, weekly-monday, monthly, manual. Note that it is important that you use the conversion specifiers in ffmpeg_filename that ensure that the new timelapse file indeed is a new file. If the filename does not change Motion will simply append the timelapse pictures to the existing file. Manual means that Motion does not automatically rollover to a new filename. You can do it manually using XML-RPC by setting the option 'ffmpeg_timelapse' to 0 and then back to your chosen value. Hourly rolls over on the full hour. Value 'daily' which is the default rolls over at midnight. There are two weekly options because depending on where you come from a week may either start on Sunday or Monday. And 'monthly' naturally rolls over on the 1st of the month. ffmpeg_timelapse seconds Use ffmpeg libraries to encode a timelapse movie. saving a picture frame at the interval in seconds set by this parameter. Default = 0. Set it to 0 if not used. To use this feature you need to install the FFmpeg Streaming Multimedia System. ffmpeg_variable_bitrate value Enables and defines variable bitrate for the ffmpeg encoder. ffmpeg_bps is ignored if variable bitrate is enabled. Valid values: 0 (default) = fixed bitrate defined by ffmpeg_bps, or the range 2 - 31 where 2 means best quality and 31 is worst. Experiment for the value that gives you the desired compromise between size and quality. ffmpeg_video_codec codec_name Codec to used by ffmpeg for the video compression. Timelapse mpegs are always made in mpeg1 format independent from this option. Supported codec formats are: mpeg1 (ffmpeg-0.4.8 only), mpeg4 (default), and msmpeg4. mpeg1 gives you files with extension .mpg. It is only supported by the old ffmpeg version 0.4.8. The ffmpeg team decided no longer to support non-standard framerates for mpeg1 from ffmpeg version 0.4.9pre1. msmpeg4 is recommended for use with Windows Media Player because it requires with no installation of codec on the Windows client. This option does not affect the timelapse feature. Timelapse is always recorded in mpeg1 format because we need to be able to append to an existing file. mpeg4 does not easily allow this. framerate number Maximum number of frames that are saved per second. Valid range: 2-100. Default: 100 (almost no limit). Note. Motion will stop storing pictures if the framerate is set to less than 2. Set this parameter to the maximum number of images per second that you want to store either as images or as mpeg films. To set intervals longer than one second use the 'minimum_gap' option instead. frequency value The frequency to set the tuner to (kHz). Valid range: per tuner spec, default: 0 (Don't set it) This option is on relevant if you have a TV tuner card where you can select the tuner frequency. Your tuner card must support this feature. gap seconds The minimum gap between two events in seconds. Default: 60 An event is defined as a series of motion images taken within a short timeframe. E.g. a person walking through the room is an event that may have caused 10 single jpg images to be stored. This option defines how long a pause between detected motions that is needed to be defined as a new event. height pixels The height of each frame. Valid range: Camera dependent, default: 288 The height of the image in pixels. Motion does not scale so should be set to the actual size of the v4l device. In case of a net camera motion sets the height to the height of the first image read. Motion actually set the size of the image coming from the video4linux device. The selected size must be supported by the device. For some device drivers like pwc (driver for Philips USB cameras) setting the size to a non-standard value makes the driver create an image of the nearest smaller size and create a gray band around the image to fit the size given by motion. Note that it is the driver and not motion that generates the gray band. Motion will try to detect motion in the entire image including the gray band. hue The hue level for the video device. input number input channel to use expressed as an integer number starting from 0. Valid range: depends on video capture card, default: 8 This parameter is really used only with video capture cards that has more than one input. However if you set the input number to e.g. 1 for a USB camera (ov511 or pwc driver) motion writes an error message back. If you set it to 8 it does not give you any warning. If you have a video capture card you can define the channel to tune to using this option. If you are using a USB device, network camera or a capture card without tuner you should set the value to the default 8. Many TV tuner cards have the input channels: TV Tuner = 0, Standard composite video = 1, S-VHS = 3. Other have TV=0, composite video 1= 1, composite video = 2, S-VHS = 3. Editor recommends setting the parameter to 8 for USB cameras as your first try. For video capture cards input 1 is normally the composite video input. If you are happy with the directory structures the way they were in earlier versions of motion use %v-%Y%m%d%H%M%S-%q for 'oldlayout on' and %Y/%m/%d/%H/%M/%S-%q for 'oldlayout off'. Valid range: 0 - 100 , default: 0 = disabled Editors recommendation. Experiment to see what works best for your application. Note: From version 3.1.17 (snap release 2 and on) this option has changed from a boolean (on or off) to a number in percent between 0 and 100. Zero means the option is disabled. The value defines the picture areas in percent that will trigger the lightswitch condition. When lightswitch is detected motion detection is disabled for 5 picture frames. This is to avoid false detection when light conditions change and when a camera changes sensitivity at low light. low_cpu framerate When this option is not zero motion will be in a low cpu mode while not detecting motion. In low cpu mode Motion reduces the framerate to the value given for this option. Value zero means disabled. Default: 0 (disabled). This is smart for running a server that also does other tasks such as running Apache, MySQL etc. Motion grabs this lower number of frames per second until it detects motion. Then it speeds up to normal speed and take pictures as set by the option "framerate". mail address Address to send an e-mail to when detecting motion Default: Not defined Address in the normal form name@domain .name. An e-mail is sent for each event. Not each picture. mask_file file PGM file to use as a sensitivity mask. This picture MUST have the same width and height as the frames being captured and be in binary format. Default: Not defined. Full path of the PGM (portable gray map) mask file (binary format). You can also adjust sensitivity by using gray tones. See the special section on mask file. If you do not have a mask file disable this option by not having it in the config file or comment it out ("#" as first character in line). If you are using the rotate option, note that the mask is applied after the rotation. max_mpeg_time seconds The maximum length of an mpeg movie. Default: 3600 seconds (one hour). Set this to zero for unlimited length. minimum_gap seconds The minimum time between two shots in seconds. Valid range: 0 to thousands, default: 0 (no minimum) This is the minimum gap between the storing pictures while detecting motion. The value zero means that pictures can be stored almost at the framerate of the camera. minimum_motion_frames number Picture frames must contain motion at least the specified number of frames in a row before they are detected as true motion. At the default of 1, all motion is detected. Valid range: 1 to thousands, recommended 1-10. Note that the picture frames are buffered by Motion and once motion is detected also the first frames containing motion are saved so you will not miss anything. The feature is used when you get many false detections when the camera changes light sensitivity or light changes. Experiment for best setting. Valid range is 0 to 1000s but for each step larger than 1 Motion reserves space in RAM for the picture frame buffer. Practical range is 1 to 10.
motion_video_pipe devicename/- The video4linux video loopback input device for motion images. If a particular pipe is to be used then use the device filename of this pipe, if a dash '-' is given motion will use /proc/video/vloopback/vloopbacks to locate a free pipe. Default: not set Using this you can view the results in real time. E.g. by using the program camstream. The difference between this option and the video-pipe option is that this option shows the motion version of the images instead of the normal images. Disable this option by not having it in the config file (or comment it out with "#"). See also the section about video loopback device later in this document. mysql_db Name of the MySQL database. Default: Undefined MySQL CONFIG FILE OPTION. Motion must be built with MySQL libraries to use this feature. If you compiled motion with MySQL support you will need to set the mysql options if you want motion to log events to the database. mysql_host IP address or domain name for the MySQL server. Use "localhost" if motion and MySQL runs on the same server. Default: Undefined. MySQL CONFIG FILE OPTION. Motion must be built with MySQL libraries to use this feature. mysql_user The MySQL user name. Default: Undefined MySQL CONFIG FILE OPTION. Motion must be built with MySQL libraries to use this feature. mysql_password The MySQL password. MySQL CONFIG FILE OPTION. Motion must be built with MySQL libraries to use this feature. netcam_url URL Specify an url to a downloadable jpeg file to use as input device. Such as an AXIS 2100 network camera. Default: not set. Must not be included in config file without having cURL (libcurl) installed. Example of URL: http://www.gate.com/pe1rxq/jeroen.jpg. Important note: To use the Netcam options you must have the cURL shared library "libcurl" installed on your system. This is normally part of Linux distributions. If it is not installed, it is most likely on your distribution CDs. The official CURL homepage is at http://curl.haxx.se/. The download page on this site has both source code and many binary packages (RPM, Debian etc). If you use the netcam_url in motion.conf or command line with -U , height and width are ignored. It actually uses jpeglib to pull the height and width from the JPEG header directly. Must not be included in config file without having cURL (libcurl) installed. Important note: To use the Netcam options you must have the cURL shared library "libcurl" installed on your system. Only relevant for network cameras. See also 'netcam_url' option. night_compensate on/off When this option is set the noise threshold will be lowered if the picture is dark. This will improve the sensitivity in dark places. However it might also increase the number of false alarms since most cameras also compensate for this with their AGC which will increase noise. Default: off Editors recommends to experiment for best result as this depends heavily on the camera and light conditions. Do not use this with 'noise_tune' on. noise_level level The noise level is used as a threshold for distinguishing between noise and motion. Valid range: 1 to 255, default: 32 This is different from the threshold parameter. This is changes at pixel level. The purpose is to eliminate the changes generated by electric noise in the camera. Especially in complete darkness you can see the noise as small grey dots that come randomly in the picture. This noise can create false motion detection. What this parameter means is that the intensity of a pixel must change more than +/- the noise threshold parameter to be counted. noise_tune on/off Activates the automatic tuning of noise level. Default: on. This feature makes Motion continuously adjust the noise threshold for distinguishing between noise and motion. The 'noise_level' setting is ignored when activating this feature. This is a new feature and new algorithm. It may give different results depending on camera and light conditions. Report your experience with it on the Motion mailing list. If it does not work well, deactivate the 'noise_tune' option and use the manual setting of 'noise_level' instead. norm 0/1/2/3 Select the norm of the video device. Values: 0 (PAL), 1 (NTSC), 2 (SECAM), 3 (PAL NC no colour). Default: 0 (PAL) This value is only used for capture cards using the BTTV driver. onffmpegclose command Execute 'command' when an ffmpeg movie is closed at the end of an event. The name of the movie will be given as argument. Default: not set. Full path name of the program/script. This can be any type of program or script. Remember to set the execution bit in the ACL and if it is a script type program such as perl or bash also remember the shebang line (e.g. #!/user/bin&perl) as the first line of the script. onmpeg command Execute 'command' when an mpeg movie is generated. The name of the movie will be given as argument. Default: not set. Full path name of the program/script. This can be any type of program or script. Remember to set the execution bit in the ACL and if it is a script type program such as perl or bash also remember the shebang line (e.g. #!/user/bin/perl) as the first line of the script. When you use ffmpeg the film is generated on the fly and onmpeg then runs when the new mpeg file is created. Often you will want to use the onffmpegclose option which runs when the mpeg file is closed and the event is over. onsave command Execute 'command' when an image is saved. The name of the image will be given as argument. Default: not set. Full path name of the program/script. output_all on/off Picture are saved continuously as if motion was detected all the time. This feature is not meant to be the normal mode of operation. Especially not if you have the output_normal or output_motion features enabled since it will keep on saving pictures on the disk and you will soon run out of disk space. So be careful with this command.. If your frame rate is 10 pictures per second motion will save 10 new picture pr second until the disk is full. All features are triggered like it was a detection of motion incl mpeg generation and running the program given by onsave. This parameter is default off. The idea of this feature is that you can turn the feature on and off for a short period of time to test or to generate continuous mpeg films when needed. You can then use the motion-control program to turn the feature on a off. output_motion on/off Output pictures with only the moving object. Default: off Motion images shows the motion content of the pictures. This is good for tuning and testing but probably not very interesting for the general public. Default is not to store motion images. Motion pictures are stored the same place and with the same filename as normal motion triggered pictures except they have an "m" appended at the end of the filename before the .jpg or .ppm. E.g. the name can be 01-20020424232936-00m.jpg. See section later in this document about the different tuning modes. output_normal on/off/first Output 'normal' pictures. Default: on Normal image is an image that is stored when motion is detected. It is the same image that was taken by the camera. I.e. not a motion image as defined above. Default is that normal images are stored. If you set the value to 'first' Motion saves only the first motion detected picture per event. This is useful if you store mpegs on a webserver and want to present a jpeg to show the content of the mpeg on a webpage. pgsql_db Name of the PostgreSQL database. Default: undefined PostgreSQL CONFIG FILE OPTION. Motion must be built with PostgreSQL libraries to use this feature. If you compiled motion with PostgreSQL support you will need to set the following options if you want motion to log events to the database. pgsql_host IP address or domain name for the PostgreSQL server. Use "localhost" if motion and PostgreSQL runs on the same server. Default: undefined PostgreSQL CONFIG FILE OPTION. Motion must be built with pgsql_db libraries to use this feature. pgsql_user The PostgreSQL user name. Default: undefined PostgreSQL CONFIG FILE OPTION. Motion must be built with PostgreSQL libraries to use this feature. pgsql_password The PostgreSQL password. Default: undefined PostgreSQL CONFIG FILE OPTION. Motion must be built with PostgreSQL libraries to use this feature. pgsql_port The PostgreSQL server port number. Default is 5432 PostgreSQL CONFIG FILE OPTION. Motion must be built with PostgreSQL libraries to use this feature. post_capture number Specifies the number of frames to be captured after motion has been detected. Valid range: 0 to thousands, default=0. The purpose of this is mainly to create smooth video clips each time motion is detected. Use it to you personal taste (and disk space)..
ppm on/off Output ppm images instead of jpeg. This uses less CPU time, but causes a LOT of hard disk I/O, it is generally slower than jpeg. Default: off Editors recommendation is to always use jpg except if you have a specific need to store high quality pictures without any quality loss. For web cameras you should always choose jpg. Note that the built in webcam server requires that this parameter is set to off. 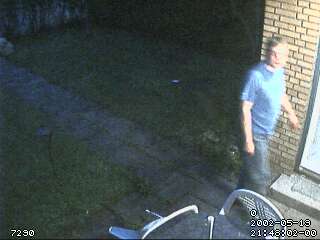 pre_capture number Specifies the number of previous frames to be outputted at motion detection. Valid range: 0 to thousands, default=0. Motion buffers the number of picture frames defined by 'pre_capture'. When motion is detected the pictures in the buffer are included in the video clip generated by ffmpeg. The effect is that it seems the program knew in advance that the event was going to take place and started the recording before it actually happened. This is a nice feature that give more complete video clips of an event. The recommended value would be approx 0.5-1 second of video so the value should be defined so it fit the framerate and the desired pre-capture time. E.g. 0.5 second at 20 frames pr second would mean a value of 10.
quality value The quality for the jpeg images. Valid range: 1-100,default: 75 100 means hardly compressed. A small number means a much smaller file size but also a less nice quality image to look at. 50 is a good compromise for most. quiet on/off Be quiet, don't output beeps when detecting motion. Default: off Only works in non-daemon mode. rotate degrees Rotate image the given number of degrees. The rotation affects all saved images as well as mpeg movies. Valid values: 0 (default = no rotation), 90, 180 and 270. The rotation feature is used when the camera is hanging upside down (180 degrees) or if you choose a picture format in portrait instead of the normal landscape (90 or 270 degrees). Note that the CPU load increases when using this feature with a value other than 0. Also note that Motion automatically swaps width and height if you rotate 90 or 270 degrees, so you don't have to touch these options. roundrobin_frames number Specifies the number of frames to capture before switching inputs, this way also slow switching (e.g. every second) is possible. Default: 1 Round robin feature is described in a section later in this document. saturation The saturation level for the video device. smart_mask_speed Slugginess of the smart mask. Valid range: 0 to 10. Default is 0. 1 is slow, 10 is fast. Smartmask is a dynamic, self-learing mask. Smartmask will disable sensitivity in areas with frequent motion (like trees in the wind). Sensitivity is turned on again after some time of no more motion in this area. The built mask is a bit larger at the borders than the actual motion was. This way smartmask works more reliable when sudden moves occur under windy conditions. smart_mask_speed - it will tune slugginess of the mask. It accepts values from 0 (turned off) to 10 (fast). Fast means here that the mask is built quick, but it is also not staying very long with no more motion. Slow means that it takes a while until the mask is built but it also stays longer. A good start value for smart_mask_speed is 5. This setting is independent from the framerate. The attack and decay time is constant over all available framerates. When smartmask is enabled and motion is also configured to either write motion-images or motion-mpegs, the current smartmask is copied as an overlay into the black/white motion-pictures/mpegs in red colour. That way you can easily adjust smart_mask_speed. sms number Number to send an SMS to with sms_client. Default: none Not a feature that has received much attention recently. If you live in GSM land you are probably better off using the e-mail to SMS gateway that most GSM providers have using your mail client. For more information see the sms_client home page. If you are happy with the directory structures the way they were in earlier versions of motion use %v-%Y%m%d%H%M%S-snapshot for 'oldlayout on' and %Y/%m/%d/%H/%M/%S-snapshot for 'oldlayout off'. For the equivalent of the now obsolete option 'snap_overwrite' use the value 'lastsnap'. snapshot_interval seconds Make automated snapshots every N seconds. Valid range: 0 to thousands, default: 0 (No snapshots) The snapshots are stored in the target directory + the directory/filename specified by the 'snapshot_filename' option. This is the traditional web camera feature where a picture is taken at a regular interval independently of motion in the picture. sql_log_image on/off Log to the database when creating motion triggered image file (default: on). Configuration option common to MySQL and PostgreSQL. Motion must be built with MySQL or PostgreSQL support to use this feature. sql_log_snapshot on/off Log to the database when creating a snapshot image file (default: on). Configuration option common to MySQL and PostgreSQL. Motion must be built with MySQL or PostgreSQL support to use this feature. sql_log_mpeg on/off Log to the database when creating motion triggered mpeg file (default: off). Configuration option common to MySQL and PostgreSQL. Motion must be built with MySQL or PostgreSQL support to use this feature. sql_log_timelapse on/off Log to the database when creating timelapse mpeg file (default: off). Configuration option common to MySQL and PostgreSQL. Motion must be built with MySQL or PostgreSQL support to use this feature. switchfilter on/off Turns the switch filter on or off. The filter can distinguish between most switching noise and real motion. With this you can even set roundrobin_skip to 1 without generating much false detection. Default: off. This is a round robin related feature used when you have a capture card with multiple inputs (controlled by the 'input' option) on the same videodevice. This option is supposed to prevent the change of camera from being detected as Motion. Unfortunately it seems that many have problems detecting motion at all when this option is enabled. We are working on improving it. You are probably better off turning this option off. target_dir directory_path Target directory for pictures. Default: current working directory This is the target directory for all snapshots, motion images and normal images. The default is the current working directory (current working directory of the terminal from which motion was started). You will normally always want to specify this parameter either as a command line option or in the config file. Note that the options snapshot_filename, jpeg_filename, ffmpeg_filename, and timelapse_filename all allows specifying directories. These will all be relative to 'target_dir'. This means in principle that you can specify target_dir as '/' and be 100% flexible. It also means that Motion can write files all over your harddisk if you make a mistake. It is recommended to specify the target_dir as deep or detailed as possible for this reason. text_changes on/off Turns the text showing changed pixels on/off. Default: off By setting this option to 'on' the number of pixels that changed compared to the reference frame is displayed in the upper right corner of the pictures. This is good for calibration and test. Maybe not so interesting for a greater public. Set it to your personal taste. text_left TEXT User defined text overlayed on each in the lower left corner. Use A-Z, a-z, 0-9, " / ( ) @ ~ # < > ¦ , . : - + _ \n and conversion specifiers (codes starting by a %). Default: none User defined text is displayed in the lower left corner of the pictures. If the option is not defined no text is displayed at this position. The user defined text can be the english alphabet and a selection of symbols: (A-Z, a-z, 0-9, " / ( ) @ ~ # < > ¦ , . : - + _ \n) and conversion specifiers. You can place the text in quotation marks to allow leading spaces. With a combination is spaces and newlines you can position the text anywhere on the picture. A conversion specifier is a code that starts by % (except newline which is \n). The conversion specifiers used has the same function as for the C function strftime (3). The most commonly used are: %Y = year, %m = month as two digits, %d = date, %H = hour, %M = minute, %S = second, %T = HH:MM:SS. Two are unique to motion %v = event, %q = frame number. With a combination of text, spaces, new lines \n and conversion specifiers you have some very flexible text features. For a full list of conversion specifiers see the section 'Conversion Specifiers for Advanced Filename and Text Feature'. text_right TEXT User defined text overlayed on each in the lower right corner. Use A-Z, a-z, 0-9, " / ( ) @ ~ # < > ¦ , . : - + _ \n and conversion specifiers (codes starting by a %). Default: %Y-%m-%d\n%T = date in ISO format and time in 24 hour clock User defined text is displayed in the lower right corner of the pictures. If the option is not defined no text is displayed at this position. The user defined text can be the english alphabet and a selection of symbols: (A-Z, a-z, 0-9, " / ( ) @ ~ # < > ¦ , . : - + _ \n) and conversion specifiers. You can place the text in quotation marks to allow leading spaces. With a combination is spaces and newlines you can position the text anywhere on the picture. A major difference from text_left is that if this option is undefined the default is %Y-%m-%d\n%T which displays the date in ISO format YYYY-MM-DD and below the time in 24 hour clock HH:MM:SS. thread filename Thread option. With this a separate config file can be specified to be used for a new separate thread. This is used when you have more than more camera/device. The single camera can get all its options from the default motion.conf file. If you have two or more cameras all cameras must have their unique information in a separate thread config file. This must be at least the definition of the device or input number of a capture card. Additionally you can add any other options such as target_dir, height/width etc. Format of the thread config files is the same as for the motion.conf. An option in a thread config file overrides the same option in motion.conf. This means that the options in motion.conf becomes the default value for all the cameras. The thread options must be the last options in the motion.conf file. threshold value Threshold for declaring motion. Valid range: 1 to thousands. Default: 1500. Use the -C command line option or the always_changes config file option to experiment to find the right threshold value. If you do not get small movement detected (see the mouse on the kitchen floor) lower the value. If motion detects too many birds or moving trees, increase the number. Practical values would be from a few hundred to 2000 indoors and 1000-10000 outdoors. threshold_tune on/off Activates the automatic tuning of threshold level. Default: on This feature makes Motion continuously adjust the threshold for declaring motion. The 'threshold' setting is ignored when activating this feature. This is a new feature and new algorithm. It may give different results depending on your camera, light conditions, indoor/outdoor, the motion to be detected etc. Report your experience with it on the Motion mailing list. If it does not work well, deactivate the 'threshold_tune' option and use the manual setting of 'threshold' instead. track_type number Type of tracker (0=none, 1=stepper, 2=iomojo, 3=pwc). Default: 0. Motion has special tracking options which use either a serial stepper motor controller, an iomojo smile cam or a Philips WebCam driver compatible pan/tilt camera such as the Logitech Quickcam Sphere or Orbit. Normally this is set to 0 and the other track options are ignored. Value 3 is for the a camera such a the Logitech Quickcam Sphere/Orbit which is driven by the pwc (Philips WebCam) driver. To use this camera your version of pwc must be at least 8.12.
track_maxx The maximum position for servo x. Default: 0 Only used for stepper motor tracking. track_motorx The motor number that is used for controlling the x-axis. Default: -1 Only used for stepper motor tracking. track_port This is the serial port to which the stepper motor interface is connected. Default: Not defined Only used for stepper motor tracking. track_speed Speed to set the motor to. Default: 255 Only used for stepper motor tracking. track_stepsize Number of steps to make. Default: 40 Only used for stepper motor tracking. tunerdevice device_name The tuner device used for controlling the tuner in a tuner card. This option is only used in FreeBSD. Default: /dev/tuner0 This option is only used in the FreeBSD version of Motion. Make sure to remove or comment out this option when running Motion under Linux. videodevice device_name The video device to be used for capturing. Default: /dev/video0 (for FreeBSD the default is /dev/bktr0) This is the video4linux device name. video_pipe device_name/- The video4linux video loopback input device for normal images. If a particular pipe is to be used then use the device filename of this pipe, if a dash '-' is given motion will use /proc/video/vloopback/vloopbacks to locate a free pipe. Default: not set Using this you can view the results in real time. E.g. by using the program camstream. The difference between this option and the video-pipe option is that this option shows the normal version of the images instead of the motion images. webcam_limit on/off Limit the number of frames to number frames. After nr frames the connection will be closed by motion. Default: 0 Number can be defined by multiplying actual webcam rate by desired number of seconds. Actual webcam rate is the smallest of the numbers framerate and webcam_maxrate. webcam_localhost on/off Limits the access to the webcam to the localhost. Default: on By setting this to on, the webcam can only be accessed on the same machine on which Motion is running. width pixels The width of each frame. Valid range: Camera dependent, default: 352 Motion does not scale so should be set to the actual size of the v4l device. In case of a net camera motion sets the height to the height of the first image read. You also need to choose framerate. The faster you fetch pictures from the camera the more CPU load you get and the more pictures get included when Motion is detected. The value must be minimum 2. You need to know if the camera supports auto brightness. Most cameras have auto everything. If you do not know assume that it has and do not use the Motion autobrightness feature. At least not to start with. USB cameras take a lot of bandwidth. A USB camera connected to a USB 1.1 port or hub consumes all the bandwidth. Even with a small framesize and low framerate you should not expect to have more than one camera per USB 1.1 controller. If you need more than 1 USB camera add extra USB PCI cards to your computer. There exists cards that have 4 inputs each with their own controller and with full bandwidth. Must 4-input cards only have 1 controller. USB cameras do not have the feature of selecting input channels. ­­_To disable the input selection the option 'input' must be set to the value 8 for USB cameras (default)_. There are cards with more then one video input but still only one BT878 chip. They have a video multiplexer which input is selected with the config option 'input'. Input channel numbers start at 0 (which is why the value 8 and not 0 disables input selection). There are video capture cards available with 4 or 8 inputs but only one chip. They present themselves as one single video device and you select input using the 'input' option. If you define e.g. 4 thread config files with the same videodevice name but different input numbers Motion automatically goes into round robin mode. See the round robin section for more information. Many TV tuner cards have the input channels: TV Tuner = 0, Standard composite video = 1, S-VHS = 3. Other have TV=0, composite video 1= 1, composite video = 2, S-VHS = 3. For video capture cards input 1 is normally the composite video input. If you use the TV tuner input you also need to set the frequency of the TV channel using the option 'frequency'. Otherwise set 'frequency' to 0. These are the parameters used for video4linux devices. #well as mpeg movies. Valid values: 0 (default = no rotation), 90, 180 and 270. #Maximum number of frames to be captured per second. #Valid range: 2-100. Default: 100 (almost no limit). #Set the initial brightness of a video device. #Set the contrast of a video device. #Set the saturation of a video device. #Set the hue of a video device (NTSC feature). Motion can connect to a network camera through a normal TCP socket. All you need to give it is the URL. The URL given must return either one single jpeg picture or an mjpeg stream. For the time being Motion cannot connect to a video stream such a mpeg, mpeg4, divx. The URL must return one single jpeg image or an mjpeg stream! The support of mjpeg streaming cameras has been introduced in motion 3.1.18 and is still relatively new. This means that with some cameras the connection to the mjpeg stream ay not be fully stable. Motion tries to reconnect to the camera if the connection is lost. There is no official standard for mjpeg and we know that there are still some cameras that are not yet supported. If you run into a problem please file a Bug Report with as much information about the format as possible. A binary raw dump of the first 2-3 frames with headers and boundary strings is very useful. The last option switch_filter is supposed to prevent the change of camera from being detected as Motion. Unfortunately it seems that many have problems detecting motion at all when this option is enabled. We are working on improving it. You are probably better off turning this option off. Note that in version 3.0.7 the two options are spelled roundrobing_frames and roundrobing_skip. From version 3.1.8 the spelling has been corrected to roundrobin_frames and roundrobin_skip. If you upgrade from 3.1.6 or earlier, remember to update your config files to the right spelling for these two features. #Recommended value is EedDl. Any combination (and number of) of E, e, d, and D is valid. #(l)abeling must only be used once and as the last letter. #PGM file to use as a sensitivity mask. #An event is defined as a series of motion images taken within a short timeframe. #Minimum gap in seconds between the storing pictures while detecting motion. The 'threshold' option is the most important option. When motion runs it compares the current image frame with the previous and counts the number of changed pixes (ignoring the ones that have changes intensity less then defined by 'noise_level'). If more pixels then defined by 'threshold' have changed we assume that we have detected motion. Set the threshold as low as possible so that you get the motion you want detected but large enough so that you do not get detections from noise and plants moving. Note that the larger the your frames are, the more pixels you have. So for large picture frame sizes you need a higher threshold. Any camera produces noise. This can especially be seen in the dark. To avoid that noise triggers motion, each pixel must change intensity over a certain limit before it is counted. This limit is defined by the option 'noise_level'. Automatic threshold tuning and automatic noise tuning can be activated or deactivated by the config file options 'threshold_tune' and 'noise_tune'. Try them and if they do not work, use the good old manual setting. The noise_tune feature has been significantly improved in Motion 3.1.18. It works so well now that we recommend turning it on as a starting point. Automatic threshold works less well and depends on light conditions and the camera. Here we recommend starting with a fixed value using the default value. We on the Motion mailing list are always interested in hearing your experience and especially any improvement you may have made to the source. The option 'night compensate' allows the noise threshold to be lowered if the picture is dark. This will improve the sensitivity in dark places. However it might also increase the number of false alarms since most cameras also compensate for this with their AGC which will increase noise. Default: off. It has normally been the advice not to use this with 'noise_tune' turned on. However the latest experience is that with the new improved noise_tune algoritm it actually works fine in combination with 'night_compensate'. A way of tuning (by removing or enhancing) noise in the motion image. Options for the despeckle feature are any of 'e', 'E', 'd' or 'D'. This can be combined by a trailing 'l' (letter l) which enables the labeling feature. Default: Not Defined (Don't despeckle and label). The 'e' option removes diamonds, 'E' removes squares and alternating eE will remove circles. Each e/E you add will shrink the noise by a pixel all the way around. So 'despeckle Ee' will remove circles of radius 2. However, this will also shrink the detection by 2 and will affect the threshold. The 'd' option adds diamonds, "D" adds squares and alternating dD adds circles. Each d/D you add will add a pixel all the way around a detection area. So 'despeckle dD' will add circles of radius 2 and again affect the threshold. So to remove noise and then restore the detected motion to its original size try 'despeckle EedD'. After the despeckle feature is done you can let the labeling feature search for areas of connected pixels and "label" each area. The program will now trigger motion based on the number of changed pixels in the largest area. In other words, the largest labeled area has to be above the threshold to trigger a motion detected. A very detailed technical explanation of the despecle part can be found at the webpage of the author of this feature Ian McConnell's Webcam: Motion Web Page. The mask file must be a pgm format image file (portable gray map). Note that you must choose the BINARY format. But imagine a scenario with large bushes and big trees where all the leaves are moving in the wind also triggering motion from time to time even with despeckle turned on. Of course you can also define a static mask here, but what if the bushes are growing during spring and summer? Well, you have to adapt the mask from time to time. What if the camera position moves slightly? What if someone grows new plants in your garden? You always have to setup a new static mask. The answer to this problem is the smart mask feature introduced in Motion 3.1.18. A dynamic, self-learing mask. Smart mask will disable sensitivity in areas with frequent motion (like trees in the wind). Sensitivity is turned on again after some time of no more motion in this area. The built mask is a bit larger at the borders than the actual motion. This way smartmask works more reliably when sudden moves occur under windy conditions. The smart mask feature is enabled and controlled using a single option called 'smart_mask_speed'. It tunes slugginess of the mask. It accepts values from 0 (turned off) and 1 (slow) to 10 (fast). Fast means here that the mask is built quick, but it is also not staying very long with no more motion. Slow means that it takes a while until the mask is built but it also stays longer. A good start value for smart_mask_speed is 5. This setting is independent from the framerate. The attack and decay time are constant over all available framerates. When smart mask is enabled and Motion is also configured to either write motion-images or motion-mpegs, the current smartmask is copied as an overlay into the black/white motion-pictures/mpegs in red colour. That way you can easily adjust smart_mask_speed. Ignore sudden massive light intensity changes given as a percentage of the picture area that changed intensity. From version 3.1.17 (snap release 2 and on) this option has changed from a boolean (on or off) to a number in percent between 0 and 100. Zero means the option is disabled. Prior to 3.1.17 the feature did not work at all because of a bug. Picture frames must contain motion at least the specified number of frames in a row before they are detected as true motion. At the default of 1, all motion is detected. Valid range: 1 to thousands, recommended 1-10. Note that the picture frames are buffered by Motion and once motion is detected also the first frames containing motion are saved so you will not miss anything. The feature is used when you get many false detections when the camera changes light sensitivity or light changes. Experiment for best setting. Valid range is 0 to 1000s but for each step larger than 1 Motion reserves space in RAM for the picture frame buffer. Practical range is 1 to 10. Motion buffers the number of picture frames defined by the config option 'pre_capture'. When motion is detected an ffmpeg generated film will begin with the buffered picture frames followed by the frames that were detected as motion and finally additional picture frames are added given by the config option 'post_capture'. The buffered pictures will also be saved as motion triggered images. The result is that when you see the mpeg films generated by ffmpeg, it appears Motion was able to predict the future and start the film capturing before the event actually started. If pre_capture is set to 0 the feature is disabled. You can have up to 1000s of pre-captured frames but naturally this makes motion leave a larger footprint in the memory of the computer. More important Motion is processing all the buffered images including saving jpegs, encoding mpegs, writing to databases and executing external programs after the first image is detected as Motion. Motion will not grab another image until this is done. This means that even moderate values for pre_capture combined with high framerates will mean that you will miss quite many frames of Motion. It is therefore recommended to use relative small values for pre_capture. Depending on your chosen framerate and depending on the features enabled values from 1-10 are sensible. If you wish to create smooth mpegs during events it is better to use a large value for post_capture. The option 'post_capture' specifies the number of frames to be captured after motion has been detected. Valid range: 0 to thousands, default=0. The purpose of this is mainly to create smooth video clips each time motion is detected. Use it to you personal taste (and disk space). The option 'gap' is important. It defines how long a period of no motion detected it takes before we say an event is over. An event is defined as a series of motion images taken within a short timeframe. E.g. a person walking through the room is an event that may have caused 10 single jpg images to be stored. Motion detected includes post_captured frames set by the 'post_capture' option. The 'gap' option defines how long a pause between detected motions that is needed to be defined as a new event. A good starting value is 60 seconds. Gap is a timer that timeout 'gap' seconds after the last video frame with motion is detected. If 'post_capture' is activated then the gap timer starts counting after the last image of the post_capture buffer has been saved. The gap value impacts many functions in Motion. When the gap timer runs out the event number is increased by one next time motion is detected. When you use the %v conversion specifier in filenames or text features this means that the number in filename or text increased by one. The pre_capture feature only works at the beginning of an event. So if you have a very large 'gap' value pre_capture is not working very often. When you make mpegs using the ffmpeg features a new mpeg file is started at the beginning of an event when the first motion is detected. When 'gap' seconds has passed without motion (and post_captured frames saved) the mpeg files is completed and closed. Do not use large gap values to generate one large mpeg4 file. If Motion stops working this mpeg4 file never gets properly completed and closed and you will not be able to view it. Some of the tracking features sets the camera back to the center position when an event is over. Note that 'gap' and 'minimum_gap' have nothing to do with each other. This option has nothing to do with the 'gap' option. This is the minimum gap between the storing pictures while detecting motion. The value zero means that pictures can be stored almost at the framerate of the camera. Normally you will set this to 0. This feature is for people that have very limited storage space available and can live with very few pictures saved. The option max_mpeg_time defines the maximum length of an mpeg movie. Default: 3600 seconds (one hour). Set this to zero for unlimited length. To save computer power on slow computers there is a 'low_cpu' option which lowers the number of frames per second that motion captures from the camera to the value defined by this option, when motion is not detected. A value of zero means that the low_cpu option is disabled. This new feature is not meant to be the normal mode of operation. Especially not if you have the output_normal or output_motion features enabled since it will keep on saving pictures on the disk and you will soon run out of disk space. All features are triggered like it was detecting motion all the time. It does all the normal actions that are done when motion is detected. It saves pictures on the harddisk, runs scripts, sends emails etc as fast as the frame rate of the camera. So it is probably a good idea to run with a low framerate when using this feature and to not use activate all the features that saves files on the disk. This parameter is default off. The 'option_normal' option activate saving normal pictures when detecting motion. The 'output_motion' option activate saving pictures that shows which pixels have been detected as motion. You will normally set this option to 'off'. See the 'Tuning Motion' section. The 'quality' option sets the quality (in percent) of the saved jpeg images. The higher the number the batter quality and the larger file sizes. A good compromise is 75%. The option 'ppm' produces non compressed pictures in the ppm format. They take a lot of diskspace. Only recommended if you need a very high picture quality. Motion contains a number of features that helps you tune the settings of motion to the optimal. They are all described in the config file table above but this section will try to illustrate them a bit more and give some guides to how to tune. smart mask disables sensitivity in areas with frequent motion (like trees in the wind). Setting daemon to off enables you to see the debugging texts and error messages that motion creates during operation. Motion writes every time it saves a file and you can see the motion detection value. Setting "always_changes" to on gives you even further information which will help you setting the noise_level/night_compensate/threshold parameters. You need to run motion in non-daemon mode so that you can see the text output on the terminal. This is very useful to see how many changes motion sees AFTER the noise_level filter has been used. Shows the number of pixels detected as motion as a number displayed in the upper right corner of the images and films. Again this is is very useful to see how many changes motion sees AFTER the noise_level filter has been used. These feature enables you to see live what motion sees. Being a command line only program makes motion difficult to setup but also enables the program to run in the background using very few resources and it can easily be started up automatically when booting. The motion_video_pipe shows you the motion images that are generated when motion is detected. The video_pipe shows the normal picture. The feature buffers up the number of picture defined by this option and include them when motion is detected. This is a nice feature not only for testing and tuning. By enabling this feature you can see the frame just before motion was detected. This helps identifying what causes unwanted motion detections. This feature help you to see exactly what the motion sees as motion in the picture. What you get is a green image that shows the pixels that changed. Motion has an simple but brilliant algorithm to detect motion where the previous pictures taken are used to create a reference picture. Motion detected are differences between the latest picture and the reference picture. The reference frame is generated from the past picture frames. For each new frame the older frames gets less and less 'weight'. This is why you see motion as a bright green images and weaker ghost or shadow images. Same feature as output_motion except the changed pixels are captured in mpeg films. You can download and compile from sources as well. ffmpeg-0.4.8. With this release Motion supports mpeg1, mpeg4 and msmpeg4. ffmpeg-0.4.9pre1. Is supported starting from Motion version 3.1.18. With this release Motion supports mpeg4 and msmpeg4 but not mpeg1. The reason is that the ffmpeg team has decided no longer to support non-standard framerates in their mpeg1 encoder library. ffmpeg-0.4.9 RPMs with date code 20041110 has been confirmed to work fine with Motion. The timelapse feature always runs mpeg1 with both ffmpeg 0.4.8 and 0.4.9. Motion simply creates the timelapse film with a standard mpeg1 framerate. Make sure you have 'root' priviledges for the next steps. #Enables and defines variable bitrate for the ffmpeg encoder. #ffmpeg_bps is ignored if variable bitrate is enabled. #or the range 2 - 31 where 2 means best quality and 31 is worst. #Codec to used by ffmpeg for the video compression. #Timelapse mpegs are always made in mpeg1 format independent from this option. #Supported formats are: mpeg1 (ffmpeg-0.4.8 only), mpeg4 (default), and msmpeg4. #it requires no installation of codec on the Windows client. Generates a new film at the beginning of each new 'event' and appends to the film for each motion detected within the same event. The current 'event' ends when the time defined by the 'gap' option has passed with no motion detected. At the next detection of motion a new mpeg film is started. Default: off. Works like ffmpeg_cap_new but outputs motion pictures instead. Default: off. Uses ffmpegs libavcodec to encode a timelaps movie saving a picture frame at the interval in seconds set by this parameter. Setting this option to 0 disables it. The feature gives your viewer the chance to watch the day pass by. It makes a nice effect to film flowers etc closeup during the day. Options like frame_rate, snapshot, gap etc has no impact on the ffmpeg timelapse function. (note: option name ffmpeg_timelapse was renamed to correct spelling in v. 3.1.14 - adding the 'e' at the end). Also note that the timelapse format is always mpeg1 independent of ffmpeg_video_codec. This is because mpeg1 allows the timelapse to stop and the file to be reopened and more film appended. Defines the file rollover mode. Ie. when to close the current timelapse file and start a new one. Valid values: hourly, daily (default), weekly-sunday, weekly-monday, monthly, manual. it is important that you use the conversion specifiers in ffmpeg_filename that ensure that the new timelapse file indeed is a new file. If the filename does not change Motion will simply append the timelapse pictures to the existing file. Enables and defines variable bitrate for the ffmpeg encoder. ffmpeg_bps is ignored if variable bitrate is enabled. Valid values: 0 (default) = fixed bitrate defined by ffmpeg_bps, or the range 2 - 31 where 2 means best quality and 31 is worst. Experiment for the value that gives you the desired compromise between size and quality. Selects the codec to used by ffmpeg for the video compression. Timelapse mpegs are always made in mpeg1 format independent from this option. Supported codec formats are: mpeg1 (ffmpeg-0.4.8 only), mpeg4 (default), and msmpeg4. 'mpeg1' gives you files with extension .mpg . It is only supported by the old ffmpeg version 0.4.8. The ffmpeg team decided no longer to support non-standard framerates for mpeg1 from ffmpeg version 0.4.9pre1. Note that timelapse mpegs are always made in mpeg1 format and ignores this setting. This is because the mpeg1 encoder allows appending to an existing mpeg1 file and we need this feature for timelapse - both for when motion is stopped and re-started and during a pause. See also the section 'Advanced Filenames' where the two additional options 'ffmpeg_filename' and 'timelapse_filename' are defined. The option 'snapshot_interval' enables the snapshots feature by being set to a value different than 0. The value gives the number of seconds between each snapshot. See the 'snapshot_filename' option in the section 'Advanced Filenames'. Text features have been made highly flexible starting from version 3.1.13 of Motion. It enables you to taylor the text displayed on the images and films to your taste and to add your own user defined text. From version 3.1.13 all text related motion.conf options have been redefined and renamed. There are 3 motion.conf options that controls the display of text. The text_left and text_right options have the similar functions. Places text in the lower left corner and aligns the text to the left. If the option is not defined the default is no text displayed. Places text in the lower right corder and aligns the text to the right. If the option is not defined the default is showing date in ISO format YYYY-MM-DD and below this the time as a 24 hour clock HH:MM:SS. If you wish to have no text to the right define text_right to an empty string "". Is a feature meant for helping adjusting the threshold and noise_level settings. It shows the number of pixels seen as motion in the upper right corner. This is how the text is located. Both text_left and text_right are highly flexible. The user defined text can be the english alphabet and a selection of symbols - (A-Z, a-z, 0-9, " / ( ) @ ~ # < > | , . : - + _ \n) and conversion specifiers. Non-english characters are for the moment not supported. You are allowed to put the text in quotation marks. This allows you to use leading spaces. By combining spaces and new lines '\n' you can place your text anywhere on the picture. Experiment to find your preferred look. When setting the text using motion-control to send XML-RPC commands put the text in quotation marks "" to allow for spaces and new lines. From version 3.1.13 the old_layout option has been replaced by new advanced options: snapshot_filename, jpeg_filename, ffmpeg_filename, and timelapse_filename. #File extension .jpg or .ppm is automatically added so do not include this. The option target_dir is the target directory for all snapshots, motion images and normal images. The default is the current working directory (current working directory of the terminal from which motion was started). You will normally always want to specify this parameter either as a command line option or in the config file. Note that the options snapshot_filename, jpeg_filename, ffmpeg_filename, and timelapse_filename all allow specifying directories. These will all be relative to target_dir. This means in principle that you can specify target_dir as '/' and be 100% flexible. It also means that Motion can write files all over your harddisk if you make a mistake. It is recommended to specify the target_dir as deep or detailed as possible for this reason. The xxxx_filename options all support the 'Conversion Specifiers for Advanced Filename and Text Features'. This means that you can build up the filenames anyway you want using fixed text mixed with conversion specifiers for time, event and frame. Anyone with access to the remote control port (xmlrpc) can alter the values of these options and save files anywhere on your server with the same priviledges as the user running Motion. You do not protect anything by protecting the motion-control program. Anyone can compile and run their own copy of motion-control and access your control port if you have not either limited access to localhost or limited access using firewalls in the server. You should always have a router between a machine running Motion with remote control enabled and the Internet and make sure the Motion control port is not accessible from the outside. Anyone with local access to the computer and edit rights to the motion.conf file can alter the values of these options and save files anywhere on your server with the same priviledges as the user running Motion. Make sure the motion.conf file is maximum readonly to anyone else but the user running Motion. The table below shows all the supported Conversion Specifiers you can use in the options text_left, text_right, snapshot_filename, jpeg_filename, ffmpeg_filename, and timelapse_filename. Motion has a mini (very very mini) http server built in. Each thread can have its own webserver. If you enable the webcam server (option webcam_port to a number different from 0) and you have threads you must make sure to include webcam_port to different ports or zero (disable) in each thread config file. Otherwise motion will crash because each webcam server will use the setting from the motion.conf file and try to bind to the same port. Note: The webcam server feature requires that the option ppm is set to off. (I.e. saved images are jpeg images). The webserver generates a stream in "multipart jpeg" format (mjpeg). You cannot watch the stream with most browsers. Editor has tried Internet Explorer 6, Netscape 6.2 (windows) and Konqueror. Only Netscape on Linux can show the stream. For public viewing this is not very useful. There exists a java applet called Cambozola. Same tool is also used in the motion.cgi program that is available from the motion homepage. To enable the feature to a broad audience you should use this applet or similar. Where the width and height is the area of the applet. Adjust it to the same size or a little larger than your streamed image. 3. In the same directory you place the cambozola.jar file. No need to build the java applet from source. Simply use the applet in the package. Or copy it from motion.cgi package. It is the same version. Motion version 3.1.12 has got a new exciting feature which is the ability to control Motion while it is running. Motion now has a built in http server called xmlrpc-httpd. This listens on a port specified by the new 'control_port' config file option. The control protocol is called xml-rpc. With Motion there is a small program that can be built and which can be used to control all the new control features of Motion. Motion has been mainly tested wuth XMLRPC-C version is 0.9.10. Recently the XML-RPC-C project finally got a new owner after having been abandoned for years. Recently version 1.0 and 1.1 has been released. Even though these have not been tested with Motion, it is assumed that they work. Please report on the Mailing List if you have success or failure with xmlrpc-c 1.0 or 1.1. We have not prioritized testing the new xmlrpc versions because the next major Motion releases (3.2.X) will replace the xmlrpc interface by a much simpler and newbie friendly http based remote control interface. At Sourceforge you find the latest files. If you use a distribution using RPM like Red Hat and many other all you need is to download and installed RPMs. Additionally the two RPMs above need w3c-libwww installed. The RPMs for w3c-libwww comes with RedHat but are not installed per default. There are 2 RPMs: w3c-libwww-5.4.0-4.i386.rpm and w3c-libwww-devel-5.4.0-4.i386.rpm. Previous versions of RedHat also have the 3 RPMs on the CDs but in earlier versions. They are probably also OK. The version should not be very critical. There is however a problem with the package above. It will not compile with gcc compiler version 3.1 and later. Kenneth Lavrsen has patched up the sources with patches found on the Sourceforge xmlrpc-c patch tracker. This patched package has been placed in the Motion Sourceforge Files area under "Related Projects" It is recommended that you download and install this instead. Follow the installation instructions from the websites of the XMLRPC-C and Libwww libraries. Besides building motion with XML-RPC support it also build a small application called motion-control which is copied to /usr/local/bin. The motion-control program is easy to use. Run it without any parameters and it displays the help. Configuration parameters are simply named the same as in the motion.conf file. Parameters that are global and not set in a thread config file can only be read from thread 0. Trying to read a global only value from a camera thread will give no value back (same reply as if you ask for a non-existing value). Once you set a value for a thread other than 0 you can read it again from that thread. The detection pause feature disables the saving of pictures, snapshots etc but does not stop the webcam server. The motion-control action and detection features do not work globally. I.e. 'motion-control action snapshot 0' does not generate snapshots for all cameras. One exception is 'motion-control action quit' which simply makes motion stop running (all processes quit). The conf write feature overwrites both the motion.conf and the thread config files in a shorter format with less comments. If you like to keep your config files make sure to save copies of them before you run this control command. If you have changed parameters using the conf set command it is the changed values that get saved to the config files. Global (thread 0) parameters to motion.conf and individual thread values to the thread config files. Files are saved at the same location as they were read from overwriting the existing files. motion-control info Brief information about motion version and number of threads running. motion-control conf list List all configuration parameters/options with their type and a short help text. Not all parameters have a help text yet. motion-control conf get [threadnr] [parameter] Get the value of a configuration parameter for a given thread. Thread 0 means the global or default value. If a parameter is not defined for a given thread then this value will be used instead as a default value. motion-control conf set [threadnr] [parameter] [value] Set the value of a configuration parameter for a given thread. Thread 0 means the global or default value. If a parameter is not defined for a given thread then this value will be used instead as a default value. motion-control conf write Write all motion config files. Both the motion.conf and all thread config files. Note that this overwrites the original config files. All old comments are lost. motion-control action makemovie [threadnr] Make an mpeg movie on a given thread. motion-control action snapshot [threadnr] Save a snapshot picture of a given thread. motion-control action quit Make motion quit completely. Useful for stopping motion when it runs as a daemon. motion-control detection pause [threadnr] Disables the saving of pictures, snapshots etc for a given thread but does not stop the webcam server. motion-control detection resume [threadnr] Resume the saving of pictures, snapshots etc for a given thread. motion-control track auto [threadnr] [value] Enable auto tracking. 0=disabled, 1=enabled. Auto tracking is always disabled when motion starts. Manual tracking is still possible when auto tracking is turned off. motion-control track set [threadnr] [value_x] [value_y] Turn camera to a specific position. Values x and y are in degrees from center. Up and right are positive numbers, Down and left are negative numbers. If you want to move the camera in one dimension and leave the other unchanged set the value for the one to be unchanged to an out of range value such a 1000. For a Logitech Quickcam Sphere/Orbit the range for pan (x) is -69 to 69 degrees and the range for tilt is -30 to 24 degrees. motion-control track pan [threadnr] [value] Turn camera to a position in degrees relative to current position. Value is in degrees and positive values means turn right, negative means turn left.. This is a good command for small step sizes like 10-20 degrees. If value is out of range camera will move as far as it can. motion-control track tilt [threadnr] [value] Tilt camera to a position in degrees relative to current position. Value is in degrees and positive values means tilt up, negative means tilt down. This is a good command for small step sizes like 5-10 degrees. If value is out of range camera will move as far as it can. The conf set [threadnr] [parameter] [value] feature is very smart for trying tuning settings and for changing the user defined on screen display. By setting the option control_localhost to "on" Motion can only be controlled via xml-rpc from the same machine on which Motion is running. If you need more refined access control use your firewall such as ipchains or iptables for it. Same line can be changed to a real URL so that you can control Motion from a remote machine. Anyone with access to the remote control port (xmlrpc) can alter the values of any options and save files anywhere on your server with the same priviledges as the user running Motion. They can execute any command on your computer with the same priviledges as the user running Motion. You do not protect anything by protecting the motion-control program. Anyone can compile and run their own copy of motion-control and access your control port if you have not either limited access to localhost or limited access using firewalls in the server. You should always have a router between a machine running Motion with remote control enabled and the Internet and make sure the Motion control port is not accessible from the outside. If you limit control port to localhost you still need to take care of any user logging into the server with any kind of terminal session or any kind of access to alter PHP programs and CGI scripts. It is easy to write a PHP script or perl script that sends XMLRPC commands. Motion can move the camera to a fixed position given in degrees pan (left-right) and tilt (down-up). Movement can be set with absolute coordinates or relative to current position. There is also an auto tracking feature for the Logitech Quickcam Sphere/Orbit but it is not very mature. It is fun to play with but not very useful yet. Motion always starts up with auto tracking turned off. For a detailed description of XML-RPC see the section 'Controlling Motion via xml-rpc'. Motion can execute external command based on the events. is only active when Motion is running in non-daemon mode. When this option is set to 'off' and Motion is running as non-daemon Motion generates a system beep when motion is detected. when defined it sends an email when motion is detected. Argument is an email address in the normal form name@domainPLEASENOSPAM.name. An e-mail is sent for each event. Not each picture. sends an SMS when motion is detected. The argument is the number to send an SMS to with sms_client. Default: none. Not a feature that has received much attention recently. If you live in GSM land you are probably better off using the e-mail to SMS gateway that most GSM providers have using your mail client. For more information see the sms_client home page. executes the command given when an image is saved. The name of the image will be given as argument. Default: not set. You should give the full path name of the program/script. This can be any type of program or script. Remember to set the execution bit in the ACL and if it is a script type program such as perl or bash also remember the shebang line (e.g. #!/user/bin/perl) as the first line of the script. executes the command given when an mpeg movie is generated. The name of the movie will be given as argument. Default: not set. You should give the full path name of the program/script. This can be any type of program or script. Remember to set the execution bit in the ACL and if it is a script type program such as perl or bash also remember the shebang line (e.g. #!/user/bin/perl) as the first line of the script. When you use ffmpeg the film is generated on the fly and onmpeg then runs when the new mpeg file is created. Often you will want to use the onffmpegclose option which runs when the mpeg file is closed and the event is over. Anyone with access to the remote control port (xmlrpc) can execute any command on your computer with the same priviledges as the user running Motion. You do not protect anything by protecting the motion-control program. Anyone can compile and run their own copy of motion-control and access your control port if you have not either limited access to localhost or limited access using firewalls in the server. You should always have a router between a machine running Motion with remote control enabled and the Internet and make sure the Motion control port is not accessible from the outside. Motion can be compiled with both MySQL and PostgreSQL database support. When enabled Motion adds a record to a table in the database with fields for filename and time. it also write a field called type. Motion does not place any binary images in the database and it cannot remove old records. file_type (int) - file type as a number - see table below.. Note from version 3.1.15 the fields have changed a lot. The fields 'camera', 'frame', 'time_stamp' and 'text_left' were added in version 3.1.15. 'type' was renamed to 'file_type' and the fields 'second', 'minute', 'hour', 'day', 'month', and 'year' have been removed (replaced by the much smarter 'time_stamp' field which allows much better queries using native SQL time functions). Note: Currently the versions of the Video4Linux Loopback Device will not work on kernel 2.6.X. If you create a version that runs on 2.6.X please send it to Kenneth Lavrsen so we can put it on the Motion website. You can use this driver for looking at motion in realtime. The video4linux driver is written by the same author as Motion. You can find the source and a brief description at the video4linux loopback device web page. Download the latest video4linux loopback device (version 0.91 at the time of this document - distributed as tar'ed and compressed files). Place the file in a place of your own choice. You now have a directory called vloopback-0.91. You can rename it to vloopback (mv vloopback-0.91 vloopback). I recommend creating a symbolic link to the current version. This way you can more easily experiment with different versions simply by changing the link.